Nebulas.io, the globe’s leading next generation public chain, and JOYSO, the world’s first hybrid decentralized exchange, have agreed to a strategic partnership (NAS-JOYSO) in order to launch a new exchange on Nebulas’ mainnet. Both projects will utilize their successful track records to create a smart contract exchange replete with a variety of features. Nebulas is the second partner for JOYSO after Ethereum. Nebulas, a leading public blockchain platform, and JOYSO, the world’s first hybrid decentralized exchange, have agreed to strategically cooperate to deploy a new decentralized exchange (NAS-JOYSO). The new exchange will be launched on Nebulas’ mainnet. Currently, Nebulas is the only project JOYSO has agreed to partner with besides Ethereum, which exemplifies the popularity Nebulas has already received. NAS-JOYSO will be powered by smart contracts and offer a variety of features, including online settlements and brokerage services. Team members from both projects collaborated closely to successfully test the first version of NAS-JOYSO at the end of June and are currently set to publish on the mainnet of Nebulas. NAS-JOYSO will offer the NRC-20 token to carry out transactions, which is similar to Ethereum’s ERC-20 token. NRC-20 tokens on Nebulas’ mainnet are able to be searched and upgraded. 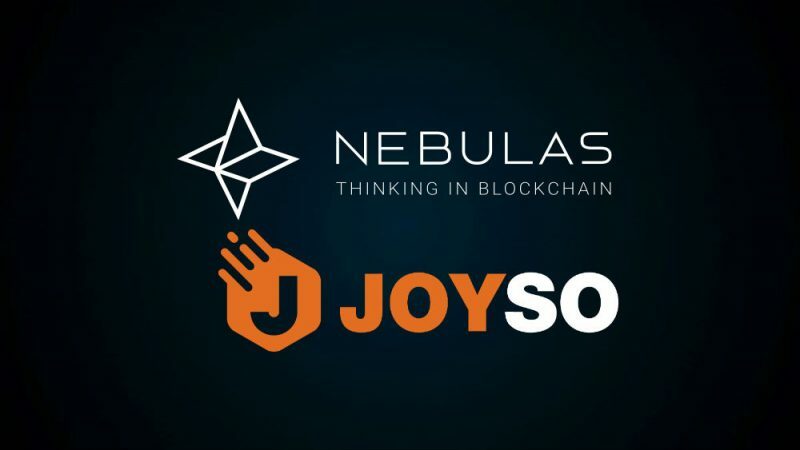 Nebulas and JOYSO have enjoyed success in their respective fields and look forward to bringing their experiences and knowledge to the partnership. Nebulas was ranked 3rd in the third phase of CCID’s public blockchain evaluation, which was under the Chinese Ministry of Industry and Information Technology. JOYSO offers off-chain matching and on-chain settlements for real-time orders, all with an emphasis on user experience, security, and efficiency. Those using the platform enjoy quick order placements and payments. Hybrid decentralized exchanges greatly reduce hacking risks and offer users cost-efficient trades. Nebulas and JOYSO will work closely to release a decentralised exchange based on smart contracts, which will bring value to the blockchain industry by enhancing and optimizing liquidity. Both sides will deepen cooperation, strengthen relationships, and ultimately collaborate on other parts of the Nebulas ecosystem in the near future.